Here’s some video I took using my Razr at the Wolf Parade Concert in Madison, WI. Thanks to Emon for helping me attempt to upload it to my media library. I ended up uploading it to YouTube, too. And here’s some actually good video of “I’ll Believe in Anything” :) Enjoy!! This is how Martha’s blog goes: She has two assistants who blog for her and she takes pictures with her Canon G9. Thooooousands of pictures. I can’t believe I’m actually blogging about this while I watch the video. I can’t compete with this woman. 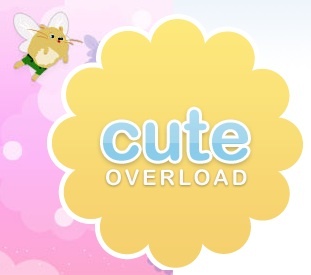 She has the cuteoverload.com creator on who tells the story of how she came up with the idea. She’s allergic! I’m allergic. I totally relate to having pictures of random dogs on my computer. I don’t know how Martha does it but I’m a ball of putty.